We’re bad belated bloggers. Feel free to take whatever meaning you want from this image. 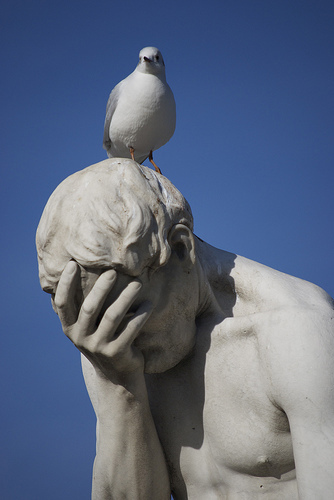 Image credit: “D’oh!” [really] by Haiku on Flickr. So. Here we are. We’d almost forgotten what a blog looks like. Click here to see just how badly we feel for neglecting it. We’ve been busy with some exciting projects, and, as architects in what has been a challenging environment, we are really happy about that. That’s our entirely valid, cross-our-hearts honest excuse reason for letting this blog sit fermenting, blissfully untouched. BUT, rest assured, this will no longer be the case. A blog is a journal, a living document that needs to be updated continuously to have value for its readers, and we are sorry for failing to provide said value or even a little entertainment. Due to some personnel changes (that’s a whole ‘nother blog post), you’ll be getting regular SPACE transmissions. Unfortunately, with that you will also be subject to horrible space-related puns. Sorry. Think back a bit. 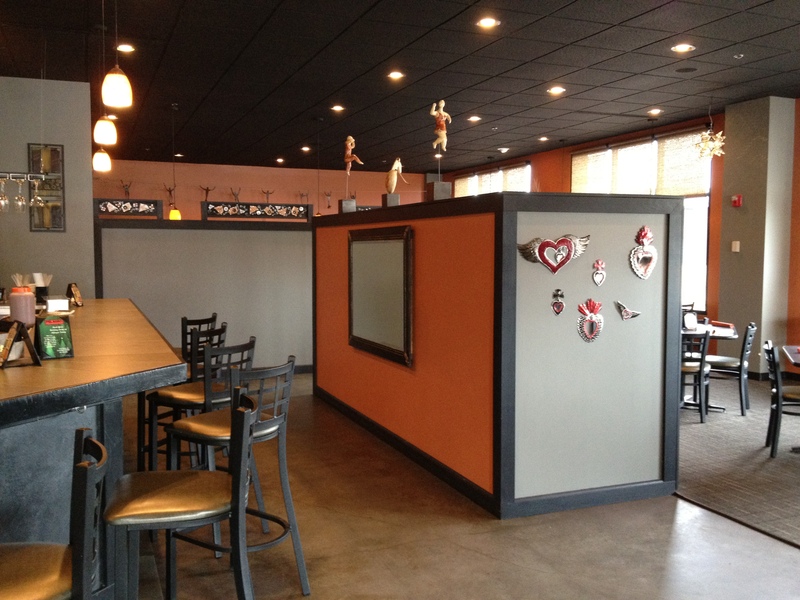 Remember when we were just beginning to renovate Milagro Modern Mexican, one of our favorite local restaurants? No? That’s okay. Take a look here to refresh your memory. 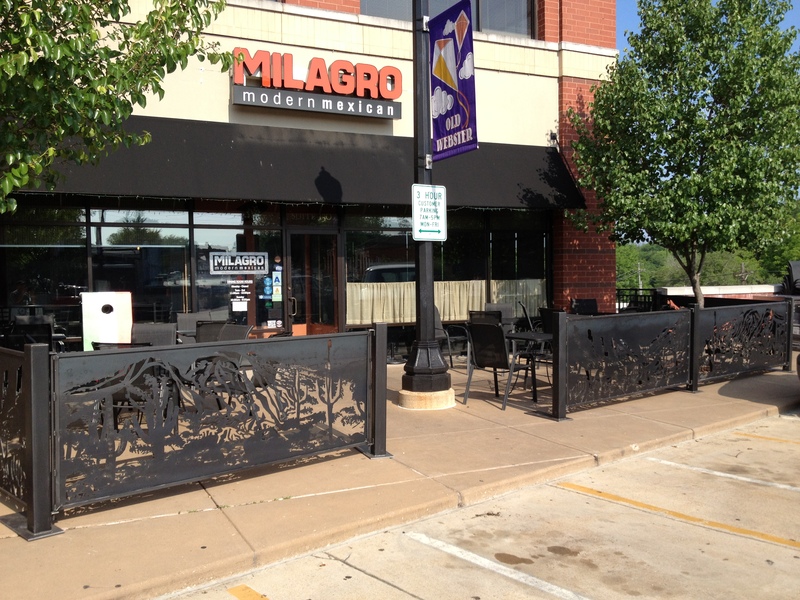 We’re pleased to announce the work is done, and now Milagro’s space is on par with its wonderful food. Why is this interior renovation project such a big deal? A number of reasons. Primarily it demonstrates what beautiful things can happen when the architect and client have good communication and trust. We didn’t want to eat up Milagro’s budget by sitting behind a desk making loads of drawings, so, through a few meetings over chips and margaritas with Adam in the restaurant space, we listened to his needs/wants/goals/aspirations, and we told him what we could do to convert the boxy, sterile space into the warm, festive restaurant he desired. There were few drawings required, no renderings, mainly conversation. We had a few constraints, and they were the usual suspects: money and time: Milagro had a budget, and to avoid disrupting the business, we planned to do the work when they were closed on Mondays. Through the new desert-scene attached to a booth, you can see the reclaimed wood on the newly-lowered booth enclosures and walls. To warm up the restaurant, we infused a healthy dose of reclaimed barn wood on two large walls and on the sides of the booths. 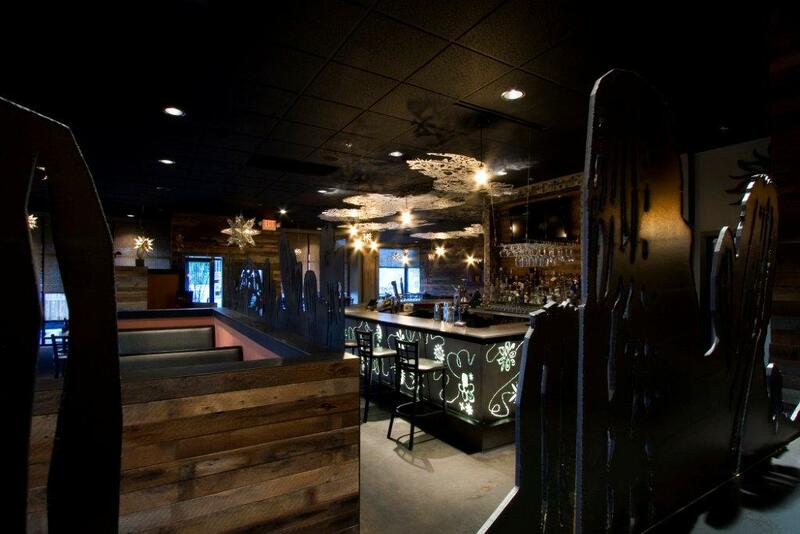 We lowered the booth walls to open up the space, and we added plasma-cut desert scenes to those booths to enliven the atmosphere. To give Adam the festive, fun environment he wanted, we spent a lot of time at the bar. (Working. Mostly.) 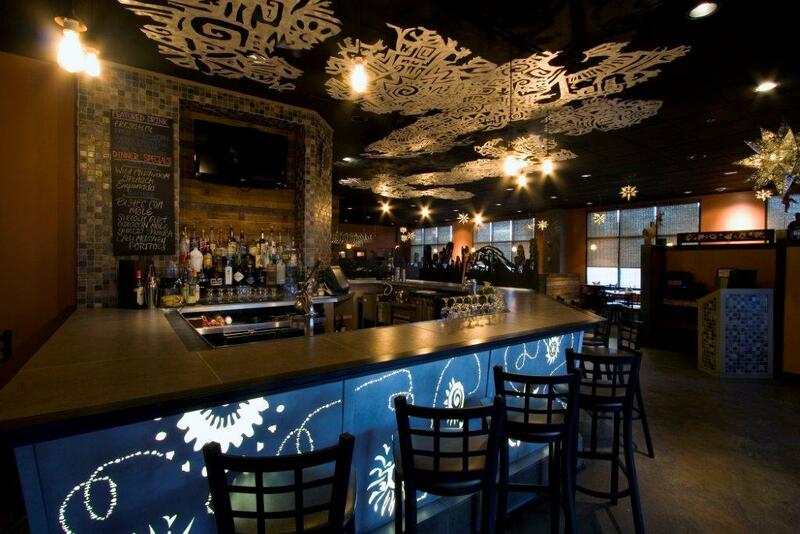 We developed a series of aluminum “clouds” suspended from the existing ceiling with new overhead lighting, and then we added a backlit bar with playful images to reinforce the milagro itself — which is a Spanish word for folk charm or miracle. The new backlit bar and steel “clouds” with new lighting. After the interior was complete, we moved outside to fabricate plasma-cut steel enclosures for the patio dining area. The panels featured similar desert scenes that were installed on the booths inside the dining room. Over a series of several Mondays we — and “we” isn’t just SPACE, it was Adam and his crew, too — worked from dawn to dusk cutting and installing approximately 548,242 pieces of barnwood, lowering the partition height of the booths, attaching the steel desert scenes, adding new lights to the dining room, hanging the “clouds” above the bar, and making the backlit bar. We could only do this because we aren’t just architects — we’re builders, too. We had everything prefabricated from our in-house shop and ready to go every Monday morning so we could get the most done in the time we had available. On this project, we eliminated much of the process that goes with a traditional job, including drafts of drawings and renderings. Will this work for every client? Of course not. We quickly established a good rapport with Adam by listening and responding carefully to his needs and desires. We won his trust and with that we had the freedom to do what we do best. This is exactly why we work hard to cultivate good, long-term relationships with our clients. We get to know you, and we can give you high function and the best look possible for your budget. We think Milagro turned out beautifully — what do you think?